A busy weekend with a come and try on Saturday and Jamie Harron at the HSBC series.Another great chance to wheelie through Belfast. 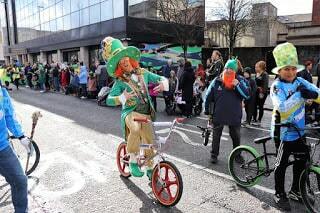 Big well done to everyone who took part in this year's St Patrick's day parades around the country. Here's a few photos from Ratoath Bmx Club, Cork Bmx Club and Belfast City Bmx Club displaying some of their skills to the crowds. 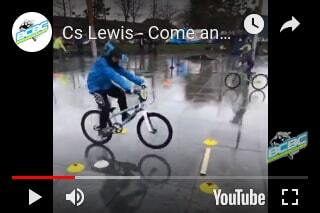 Thanks to all who attended our “come and try bmx” session.... the weather was pretty grim but smiles (and the sweeties) all round made it worthwhile ! In conjunction with Belfast City Council, the event was aimed at anyone aged 4 and up to give them a taster as to what BMX racing is all about. We had bikes, helmets, cones and some jumps to try out and our coaches were there to run through some basic skills. To celebrate our come and try BMX event we teamed up with Thunder Park to offer the chance for you and 4 of your mates to win a BMX coaching experience at Thunder park (worth £100). 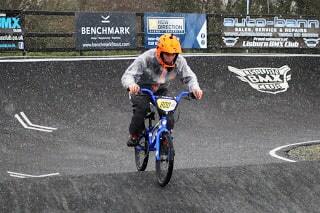 Today’s photographs from the Penultimate winter series at Lisburn BMX track today. Conditions were more tricky than you would hope for at any BMX race, but all races were held, albeit between the “four seasons “and went off with little drama! Well done to everyone who took part, you now can say you raced in hail stones & ❄️ snow!! 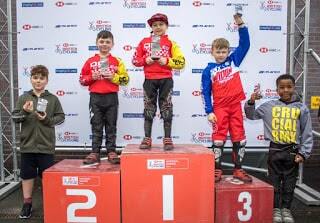 Some great racing, and great to see so many under 12s at such an event ! Videos from Lisburn Bmx Club.